Power Presentations -- giving trial attorneys a competitive edge since 1998. Compelling graphics and vivid images are worth a thousand words. Power Presentations enhances your power to persuade -- in mediation and trial. May it please the Court... Trial time is 1/3 less with the help of technology. For the benefit of the Jury. Jurors expect trial technology. Another trial by Power Presentations. Make your best case. Trial toolkit. Text-to-video sync. Software training. "Hot seat" technicians. The Power is in our experience. Current on industry standards. Power Presentations has been working to give trial attorneys a competitive edge since 1998. We're in the business of providing seamless, successful solutions for trial and mediation presentation support. 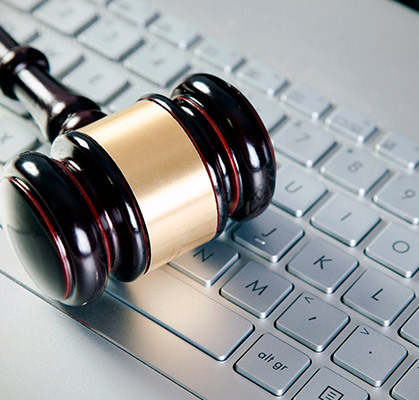 We work with attorneys and paralegals who want to maximize the power of their digital information in trial, mediation, or focus group settings. We're ready to work side by side with your pre-trial support team, whatever its level of expertise. Power Presentations complements and completes your trial experience by focusing on the details. Our staff is knowledgeable of the hard work required to prepare for trial and we are ready to partner with you to help organize and manage your case database. Louisville-based Power Presentations provides hands-on support services to meet your case's unique presentation needs. Your expert tech support partnership for trial presentation software: Trial Director, OnCue, Sanction, TrialPad, PowerPoint, Keynote. Software training. Digital database building. Trial “hot seat” technicians. Powerful graphics that make your case: Compelling visuals, trial displays, interactive timelines, detailed illustrations, animations, “day in the life videos,” printed boards. The latest technology makes your job easier with high-tech equipment rental: Elmos, Apple TVs, HDMI projectors, flat screens, laptops. Years of experience means we get it right the first time: Quality video production and deposition editing for playback at trial. 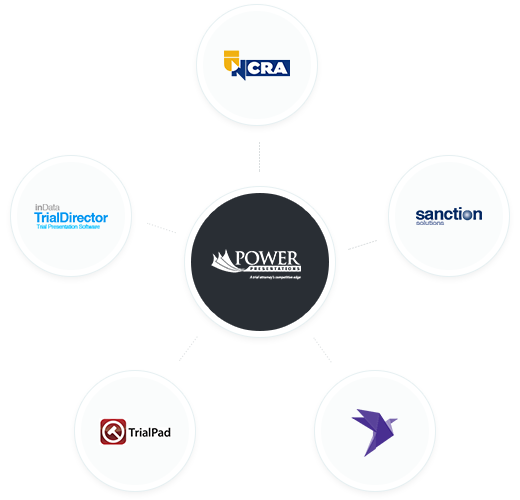 Our partners, certifications, and affiliations, because we can’t do it alone. Copyright 2019 Power Presentations, LLC.